Roco 2016 New Items Now Posted! 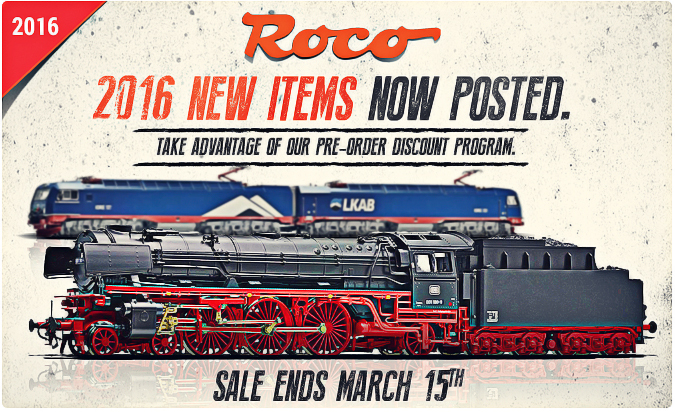 Roco is offering hundreds of exciting new items, in both HO and N scale. Take advantage of our Pre-order discounts!